Α. 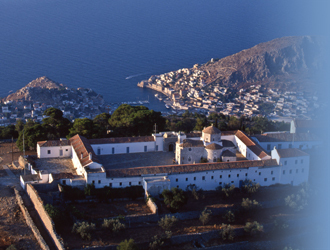 A visitor can get to know the mainland and the Monasteries of the island of Hydra with donkeys or by walking. There is no other transportation to the Island. 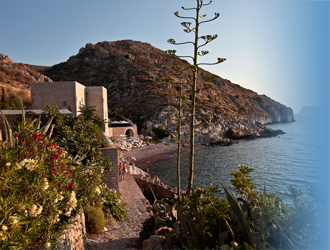 As a start point the Church of Saint Konstantinos of Hydra, we follow the route, which leads to the Monastery of Prophet Elias. It is a plain and beautiful man Monastery, in where, Kolokotronis, the hero of Greek Revolution, was imprisoned. During the route we meet a pine tree forest and in the place of "PalionKalograion" a woman Monastery. In the courtyard of the Monastery of Prophet Elias there is drinking water and stables. 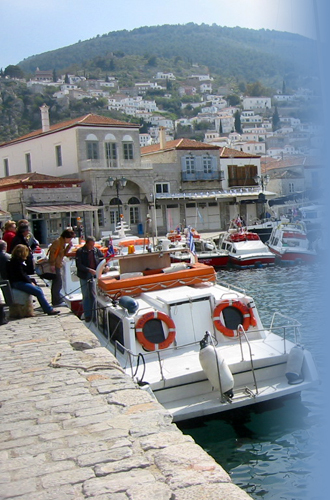 The route from Hydra is easy and it needs only 45 minutes. Near the Monastery of Prophet Elias, is the woman Monasteryof Saint Eypraxias. The Church of the Monastery were built in 1821 and in its courtyard you can buy handicraft creations. Not too far away from the Monastery of Prophet Elias lies the tallest mountain of Hydra, called Eros (598 meters), with a wonderful view of the island and the sea. The route from the Monastery of Prophet Elias to the mountain top is difficult and you will need approximately 20 minutes. Starting from the port, the first road on the left leads to the pine tree location of the Monastery of Saint Foteinis. We continue through an earthen trail and we meet the "Mill", a stone made building of the 18th century, where wheat have been processed. At this point the road splits into two, which both roads lead to Monasteries; the one is the Monastery of Saint Matrona and the other the Monastery of Holy Trinity. 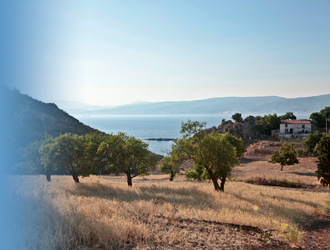 The coastal road which leads to Mandraki, branches and goes to the women Monastery of Saint Nikolas. In order for someone to go to the woman Monastery of Saint Nikolaos (17th century) he will walk an easy route and from there he can admire the view. From the beach of Molos starts a route which passes by pine treesand ends to the place Episkopi, an archaeological site. From there we go to Zogeri, or to the coastal area of Nisizas. Because of the lack of transportation in Hydra, we have to use sea transportation and sea taxi in order to reach tothe beaches of the island. With boat or ship or sea taxi, we start from the main port and we reach a variety of places, such as Spilia, Periptero,Avlaki, Kaminia and Vlychos, a coastal settlement. As we continue west of Vlychos, we find the beautiful sandy beach ofPalamidas, and after Zastani rock we find the secluded beach of Saint Kiprianos. Next we have got the beach of Molos, to the south-west side of the island and Kaoumithi, a beach with thick sand. From here we continue to cove Bisti, with the large beach and close to it we can see the beautiful beach of Saint George, surrounded by pine trees and to the hill there is its Church. From the south west of the island we also reach the cove of Saint Nikolaos, where we can find a beautiful secluded beach with clear waters and pebbles. To the east we reach another beach with pine trees, called Nisiza and after that we reach Klimaki andLimnioza, a most beautiful beach.From the cove of Zoubra and to the southeast and northeast side of Hydra, we reach Mandraki, with organized beach and hotel. Β. The round of the island, as an excursion, is being done daily, with boat, starting from 11.00 in the morning from the main port.There is plenty of time to have fast lunches or to swim to the beaches, before you reach back to the port. C. You can rent a car from Metochi, opposite from Hydra island, and visit archaeological sites of interest to the shores of Peloponne se, such as the Ancient theatre of Epidavros, the palace of King Agamemnon in Mycenae, the Ancient Troizoina, the Ancient tombs of Magoulas in Galata. Also you can admire the Temple of Poseidon at Poros island and if you there by a small ferry boat.